The closing scene of the film Raiders of the Lost Ark depicts a crate containing the Ark of the Covenant being safely stored away in a sprawling government warehouse full of countless similar crates. I imagine Brighton & Hove City Council’s museum store to be a similar facility. Whatever appearance it takes, I have no doubt that it contains a myriad of hidden treasures. 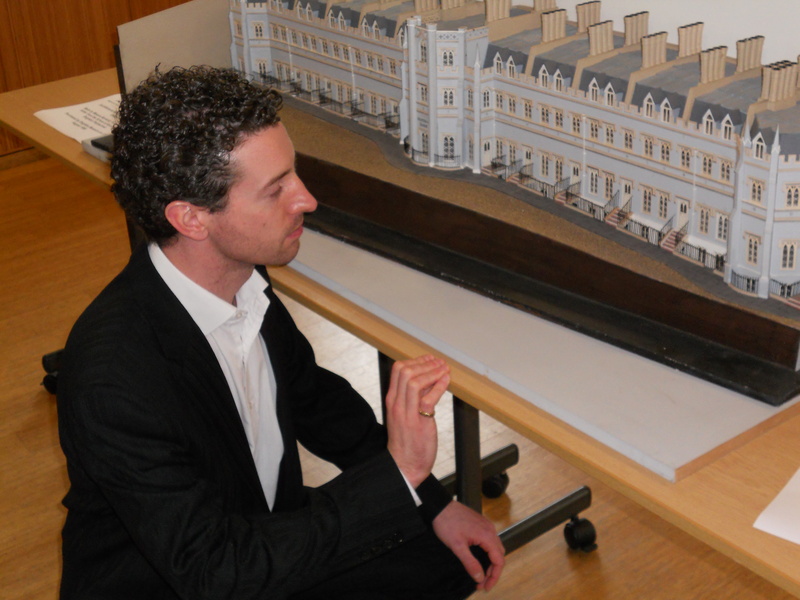 One such artifact is a scale model of Wykeham Terrace that I heard about some years ago. It took two years to arrange the viewing but I was finally able to see model at the end of February. It was certainly worth the wait. Wykeham Terrace is the rather distinctive Grade II listed Regency composition on Dyke Road, just below St Nicholas Church. Unlike other local compositions of the period, the style is Gothic rather than Classical. It consists of 13 four-storey houses, of which only several have been converted into flats. Having invited a number of Wykeham Terrace residents and members of several local amenity societies to the Education Pavilion at Brighton Museum, hype was building around the event. I had little idea what to expect though. I was pleasantly surprised by how many of those that I invited came (around 50) but, most importantly, just how remarkable the model is in its depiction of the historic terrace. Due to the presence of several obstacles such as trees and walls, it is not so easy to see the entirety of the real terrace in all of its glory. The model allows such views and presents the terrace in a way that I had never seen before. Its symmetry, in particular, is now much clearer to me. 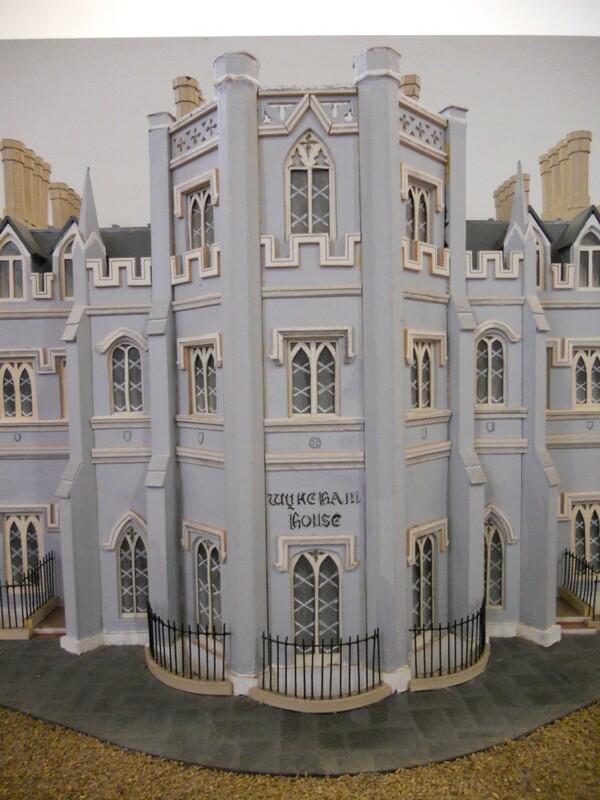 The wood and card model came into the possession of the people of Brighton & Hove in 1986 and was certainly on display in the Brighton Museum until 1999, the year that the large works programme commenced. It was built by “Messrs Barnard, Firth, Flmnn and Sattar of the School of Architecture, Brighton Polytechnic”. The spelling of “Flmnn” may well be incorrect but that is what went down in the records. I am grateful to Local History Curator Heather Fitch who organised for the model to be removed from storage and carried out some research into its history. She was present during the viewing to answer questions – and also to tell my excited guests to stop touching the model.